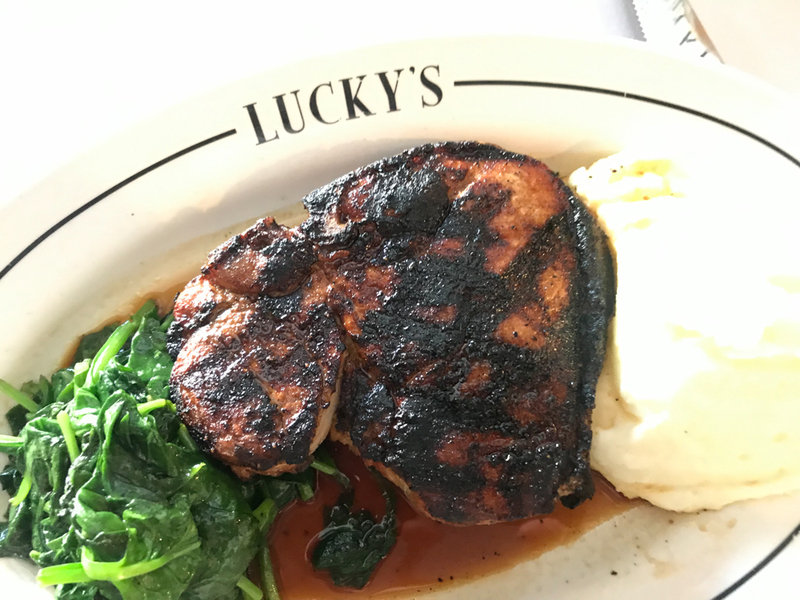 On the normal Lucky’s menu, the pork chop alone is nearly $40. Relatively small Santa Barbara boasts an impressively big-city concentration of restaurants, with the next hotspot opening every few weeks. But that variety — of prices, of cuisines, of settings, of neighborhoods — can make choosing where to eat tonight a perplexing affair, handcuffing many into a safe but somewhat stale restaurant routine. 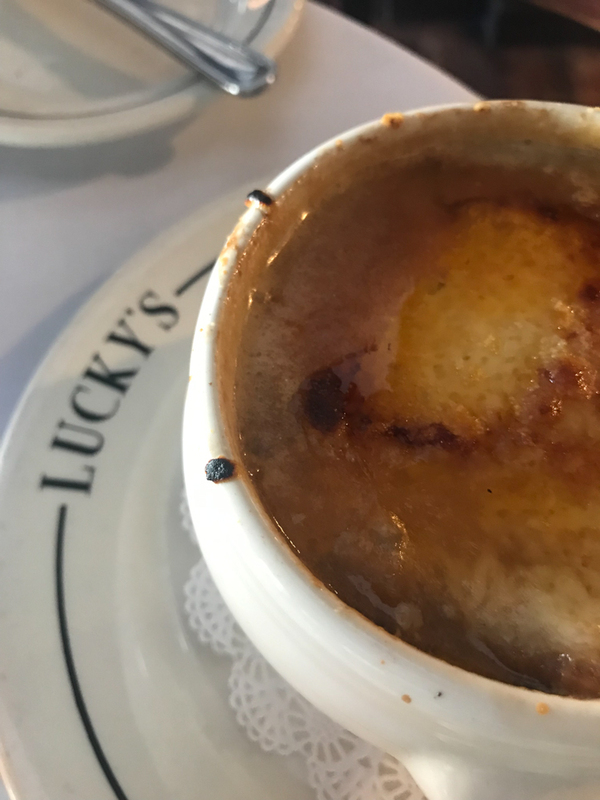 On the verge of this second annual effort, I visited three restaurants to see what they are offering. 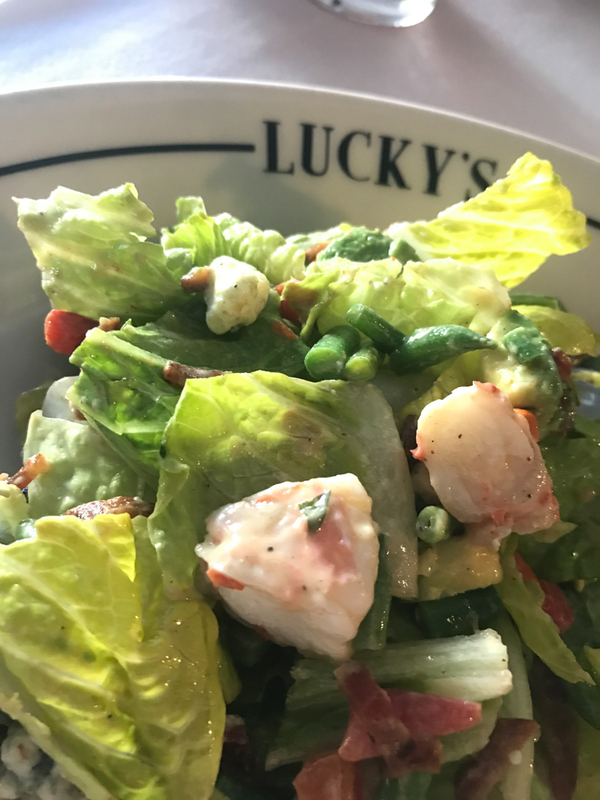 “I know we’re an expensive restaurant,” Leonard Schwartz readily admitted of Lucky’s, the classy Coast Village Road steakhouse he manages. “That pork chop alone costs almost $40.” But during SBRW, $40 gets you a choice of starter as well as that double-cut pork chop — rubbed with subtle spice, charred just right to showcase the savory meat — with ample sides of cashmere-soft mashed potatoes and bitter-salty sautéed spinach. The starter options are almost meals themselves: The French onion soup’s Gruyere and bread topping become one with the rich veal and chicken broth; the grilled artichoke gains heft with the choice of house-made mayo or hollandaise; the Lucky’s Salad combines shrimp, bacon, romaine, green beans, avocado, and Roquefort into a leafy yet cobb-like affair. And you needn’t go pig either. The other main course options are grilled salmon — crunchy outside, soft within — in a lemon-caper butter sauce and green beans, or the sautéed tofu with a miso-laced Japanese vinaigrette — requested by resident vegan activist Kathy Freston — served with green onions, shiitake, and spinach. 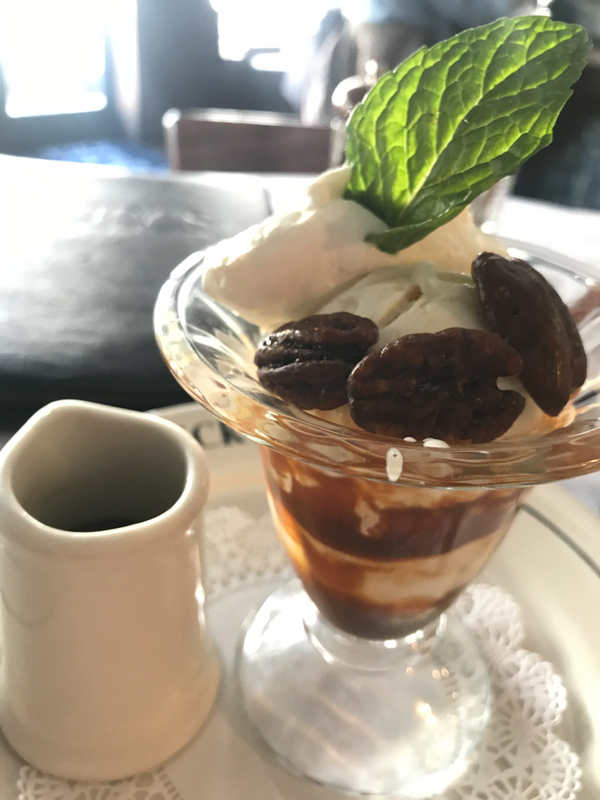 With the choice of dessert — turtle sundae, loaded with caramel and pecans; cheesecake with luscious berry compote; apple crisp with vanilla ice cream — this is likely the best deal of the week. The bonus is that it allows entry to this hallowed space usually reserved for our wealthier neighbors, where walls are lined with portraits of celebrities, some of whom might actually be sitting at the adjacent table. Go big by ordering one of the by-the-glass cellar selections — Opus One 2015 for $98 — or dive into what must be the largest Sine Qua Non lineup in town. “That’s my signature,” said Chef Elisabetta Gerli of the eponymous lasagna that’s part of Due Lune’s SBRW dinner menu. Arriving in a hot, single-serving casserole dish, the pasta sheets are layered with her homemade meat sauce, béchamel, and parmesan, cheese and sauce oozing with each forkful. Until last June, Elisabetta and Antonio Gerli ran Sorriso Italiano in Isla Vista, which they opened in 2012 after moving from Padua, Italy, to start second careers. They decided not to renew their lease, and a couple of weeks later, the Montesano Group — which owns Lucky’s, Joe’s, Tre Lune, etc. — called to inquire whether they’d want to run Due Lune, in the former Eladio’s space at the coveted, tourist-jammed corner of State and Cabrillo. They opened on August 1. 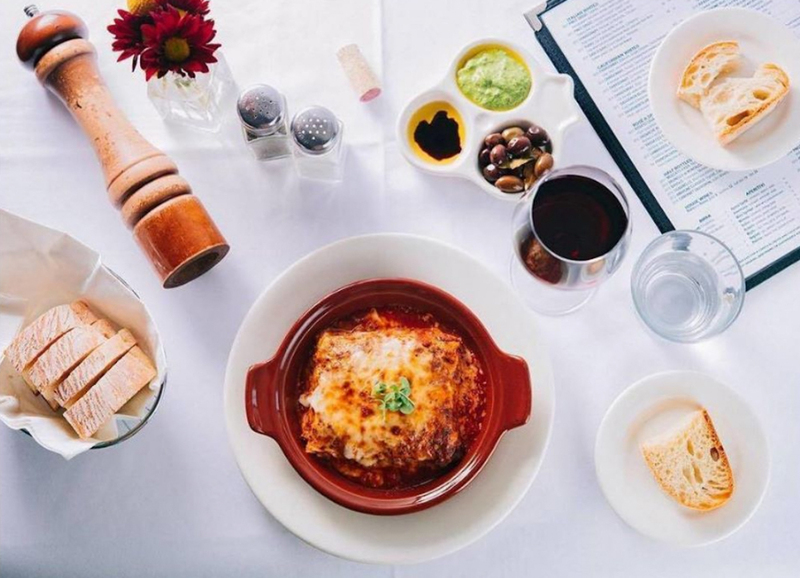 The lasagna is part of the dinner menu, but Due Lune is also offering a $25 lunch spread. After the simple but solid bread course, featuring a non-nut spinach pesto and Italian olive oil and olives, the choice is between the vegetable soup of the day or the zesty Insalata Betty. Then, for entrées, there is the farfalle with asparagus and shrimp, eggplant parmigiana, or chicken scallopine in a tangy marsala sauce with earthy mushrooms. No dessert is included for lunch. Homemade lasagna is fine winter comfort food at Due Lune. As for the dinner menu, it starts with either soup, Insalata Due Lune, or a tuna carpaccio. Follow that with the lasagna, the Mezzelune ai Porcini (half-moon ravioli filled with porcini and a butter-parmesan sauce), or the salmon puttanesca. Dessert is three scoops of gelato or the Mousse al Cioccolato, with juicy mixed berries floating atop the airy, easy-to-accidentally-eat-all-of confection. The bonus treat at Due Lune any day of the year are the views of the waterfront, where the activity is endless even on rainy days, from the dolphin statue to the bobbing masts of the harbor. 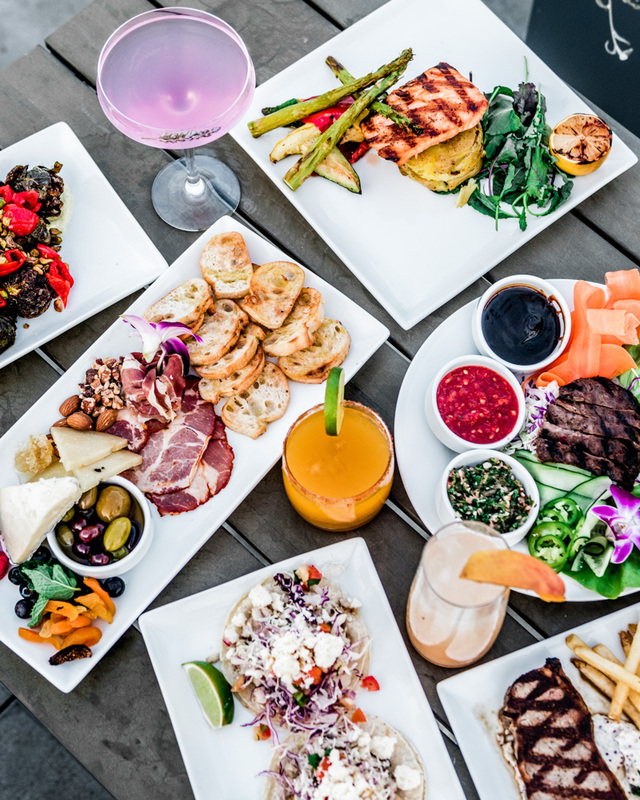 Goleta’s restaurant scene is also popping these days, although The Roof Top Bar & Bistro is one of the only SBRW participants for those who live on this side of town. Hopefully that changes in the future. This restaurant occupies the, yes, rooftop of the Hilton Garden Inn, which offers stunning views in every direction: skyscraping Santa Ynez Mountains and foothill orchards that stretch from Glen Annie Golf Course toward Santa Barbara to the UCSB skyline and the ocean beyond. There’s a fireplace and kumquat trees up there, and live music every Thursday to Saturday. But food is also a focus. “We’re really elevating the culinary programs at this level of Hilton,” said the hotel’s Patricia Kimball, who moved from Hawai‘i to run its sales and marketing efforts. Their dinner-only SBRW menu is set in stone: roasted beet salad with Humboldt fog cheese, chive oil, and beet syrup, that salty, ashy-rind cheese giving funk to the earthy root veggies; braised beef short ribs, served atop horseradish creamed potatoes with an assortment of veggies; and then the foamy textured chocolate lava cake, hot with sauce yet cooled by raspberry coulis. Vistas extend from the mountains to the sea at The Roof Top. The following restaurants are serving special menus for lunch (two courses for $25) and/or dinner (three courses for $40), Friday, February 22-Sunday, March 3. See sbrestaurantweeks.com for details.